Tweets sent out from the official Pokemon GO Twitter account late yesterday indicate that the long awaited player vs. player feature is finally available now to those using the Pokemon GO app. According to a message found in the app, Pokemon GO players will need to put together a team of three Pokemon to take on "a nearby trainer in battle." Trainers at Level 10 or up will be able to participate in these trainer vs. trainer battles. Pokemon selected to battle other trainers can use their Fast Attack and Charged Attack for these skirmishes. 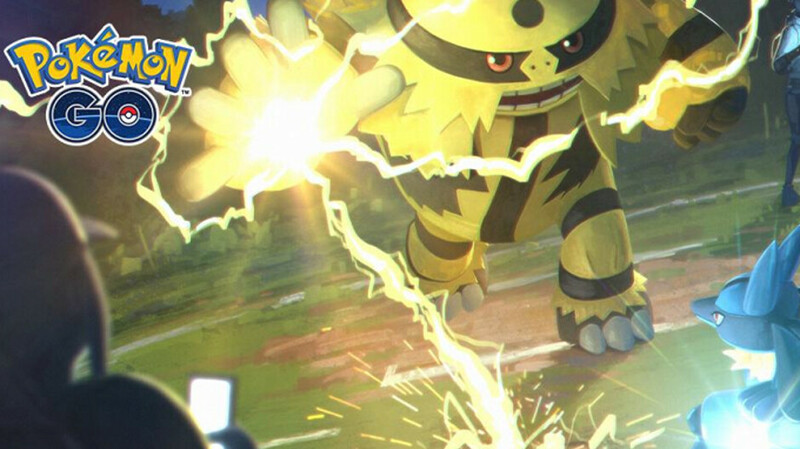 Trainers can also unlock another Charged Attack to use in these contests. Players who do participate in these trainer battles will be able to earn rare Evolution items. To prepare for these fights, Pokemon GO players can train with Team Leaders Spark, Candela and Blanche. And Ultra Friends and Best Friends can challenge each other to trainer battles from any location. Pokemon GO, at last look, still brings in a large sum of money. The recent release of the Let's Go Pikachu and Let's Go Evee games for the Nintendo Switch have given former Pokemon GO players the incentive to fire up the app and catch more Pokemon. After all, the pocket monsters collected in the AR game can be imported into the new games for the Switch platform. If the update hasn't hit your phone, or you have yet to play Pokemon GO, you can install the app now on your Android or iOS phone. Right. And the system actually works quite well. dont you just tap the screen? what fun is that? Update: you just tap the screen a bunch of times, no move choices or items to use, what fun is that?